View the original post on DesireeMMondesir.com! Over the past few months, I’ve been studying reformation. The historical figures Martin Luther and John Knox. The not-so distant Nazi opposers, Dietrich Bonhoeffer and those involved in the White Rose Movement. They had one main thing in common: their reformation came through information. And that information was printed on pamphlets. 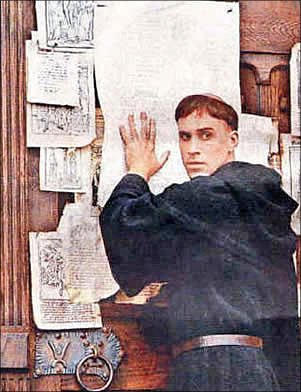 When the rebellious Benedictine monk acted on his righteous indignation over the travesties enacted by the Catholic Church, he nailed his 95 Theses to the Wittenberg Castle Church door. They were soon printed—along with many other works—on pamphlets distributed far in wide to the German masses. The young people who headed up the White Rose Movement made their non-violent protests against the inhumane acts of the Nazi-powered Third Reich distributed their righteous beliefs in the form of leaflets. These were short works, manifestos, expressing their beliefs, values, and guiding principles. When a reformation occurs, it often comes with manifestos that outline its belief system. Some not-so great examples are The Communist Manifesto, The Homosexual Manifesto, The Humanist Manifesto, and a world-wide favourite, Mein Kampf. We may not all be reformers in the areas of religion and government, but maybe you are a thought leader in another area. Business, writing, dancing, whatever! God gives us all ideas for our spheres of influence. It’s our job to share those ideas and belief systems with the world. With the advent of eBooks in iPad, Kindle, Nook, and PDF formats, it is now easier than ever to express these ideas through eBooks and manifestos. I’ve written manifesto, my first one, and it will be coming to you soon! I won’t pretend to be Luther, Bonhoeffer, or Jacobs, but I do have the mind of Christ! Write your manifesto today! Nail your theses to your walls on Facebook, tweet them on Twitter, pin them on Pinterest, and share them on Tumblr! P.S. 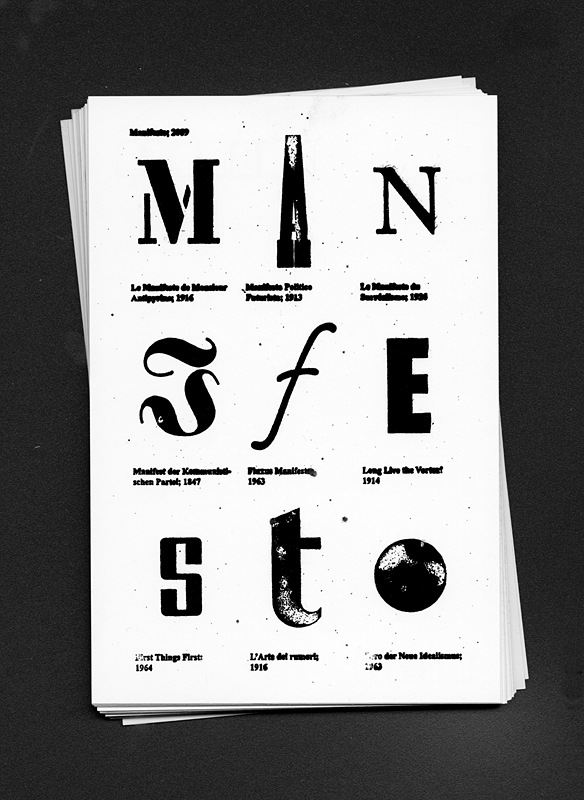 Check out this Google Image search on manifestos and find what piques your manifesto-writing interest!